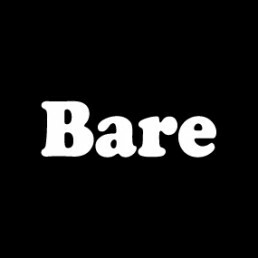 Bare is a PR and marketing agency proudly based in Croydon, London. A place full of innovation, diversity and sass, so the perfect place to start our adventure. In our first year Bare was honoured to be nominated for a major industry award beating top London agencies and organisations across the South East. Bare PR was set up by Lorraine Bridges one of just 200 Chartered PR Practitioners in the UK with more than 20 years’ experience in the industry. Lorraine began her career as a Guardian features writer and went on to deliver game-changing projects for organisations across the UK. From the NHS to start-ups, charities and multi-national organisations. We wanted to create a different kind of PR agency, doing things simply but delivering extra. Giving clients more of what they want, with less fuss and definitely less fluff. We want our clients to feel proud and excited to work with us and the results we co-create. Our vision is to be the number one purpose driven agency in the South East. We’re proud to be an industry leader, voluntarily regulated by the Chartered Institute of Public Relations (CIPR) and take part in a yearly assessment. We promote our profession as much as possible through student mentoring, workshops, training, volunteering and CPD. We stand for PR that makes a change in people, communities and the way we live our lives. We care deeply about our community and buy local, support and celebrate our local community wherever and whenever we can. We take the time to listen carefully to your needs, learn about your organisation and understand your goals. We work hard to build open, honest and successful working relationships. We take great pride in our services and maintain the highest standards in practice, professionalism and ethics. We raise eyebrows, we have fun and we want others to enjoy the ride. 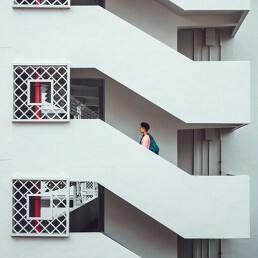 Pursuers of more – more creativity, more ROI, more wow. We love what we do and believe you deserve the best. Simple.